Unfortunately I was unable to attend today's service, but as I had some information about it, I thought I would do what I could to keep you in touch. This morning's service began with a welcome and a call to worship given by Dermot Armstrong, visiting in Helen's absence, whose theme for today was "Why we come to Jesus" and the first hymn,28, Praise to the Lord, went some way towards answering that question. He is our health and salvation; he gently sustaineth; he grants our hearts' longings; he prospers and defends us; his goodness and mercy daily attends us; he sheds his light on all evil and chases it away and for that reason all that exists should adore him-gladly. And that's what we do, but do we do it in every situation or are there occasions when we would rather go our own way? And are there situations where instead of "coming to Jesus" we look to our own solution and then wonder why it comes out badly? The hymn that followed was “Seek you first the Kingdom of God”, an obvious instruction or piece of advice and one worth following even it was presented as a simple hint. We often tell the younger members of our families to "stop and think" but we ourselves rush off on the wrong path because we do not stop and think to seek first the kingdom of God. The readings from John 6:6-15 and Ephesians 3:14-21 provided the basis for Dermot's message. In John's story of the feeding of the 5000, Jesus feeds the "whole people of God" spiritually and then Paul's prayer in Ephesians illustrates a response to this spiritual feeding. As I said, I was not there to hear that message but I thought I might add some thoughts of my own. Many of us have an inner emptiness which is never filled until we forget about what we want and hand over to God to fill us with what we need. 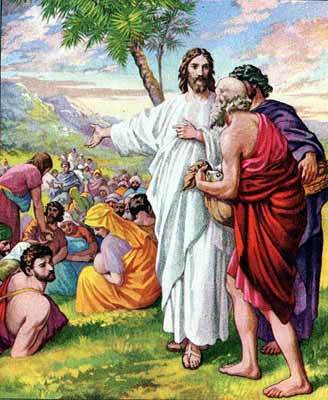 In the story of the feeding of the 5000, Jesus feeds a throng from a minute amount of food with so much left over. I do not know what the theological significance of this is, or what Dermot made of it, but what occurred to me is that God's healing, restoring, forgiving love is such that everyone who ever lived and whoever will live can be filled to abundance and there will still be an endless supply. Hymn 207, “There's a light upon the Mountain”, returned us to the theme of why we come to Jesus, with the promise that the day is coming when we shall see the beauty and glory of God and that day can start now. As I see it we don't have to wait until the next life to enter into eternal life, we can know the richness of that now. His triumph day can be now in our souls so that the drumbeats of his army will be our heartbeats. After the prayers of the people in which the congregation supported friends and family and the community about us the Offering was taken - another sign of our commitment. Hymn 480, “Forth in thy name I go”, pointed us to the same conclusion that was reached earlier and the service was completed with the Benediction, sending each one forth in His name. We were welcomed by Helen, with a reminder about the Monday afternoon bible studies at Alan Walker Village starting on Monday July 30 between 1.00 and 2.30 and again on August 13 and August 20 in the lounge outside 426. Colin also exhorted those of a competitive nature to get into training for the indoor bowls afternoon on August 24 at Alan Walker village. The call to worship set before us the lavish invitation given to us by God and urged us to accept this by worshipping Him. We then sang in Hymn 115 of our God of strength and power on whom we can rely for all things. He is our Saviour, our creator, our shepherd who asks for nothing other than our total allegiance. Given, this great gift offered to us, why is it that we sometimes hold back from handing over our all? We then paused to give thanks for the many blessings bestowed upon us, at the same time being reminded of just how much we are given and how we sometimes take so much of it for granted. Sometimes I stop and think about this thing we have been given called "life" but I have to give up any attempt to understand it because it's too much for my brain and just be thankful. HYMN 82 "God who made the earth" returned our thoughts to God the creator of all that is, who through his Son, showed His care for us. Remember back to our schooldays when we would be overjoyed to be noticed by the Principal. This is the creator of all that is! But if we are to accept that care or any other gift we have to remember that it’s for God's glory. The Prayer of Confession was a wake-up call to remember that all the good gifts we have come from God and are given to us to share: not to grasp greedily. We were reminded that by sharing everything we have had showered upon us, we can break the vicious cycles of hostility to bring about peace and justice and abundance for all, keeping in mind that most precious gift that feeds us till we want no more. This is not a confession to simply ask for forgiveness: it is a confession that we need prodding into action - most uncomfortable - can't leave that at the church door with the hymn book. 2 Samuel 7:1-14a was a record of God's covenant with David. It was a reminder of God's great generosity to his people. But David decided to ride on this wave of abundance to carry out a plan of his own - to build a temple - but God said "No" but also told David of the plan He had for him - to be the founder of a much greater, if different type of house. Mark 6: 30-34 reiterated this theme of generosity. Jesus and the disciples were exhausted but when the people followed them Jesus saw their spiritual hunger and taught them "many things"
This theme was continued in Hymn 81 " the King of love my shepherd is" where we sang of all God's spiritual gifts to us and how He is faithful to us, even when we forget to be faithful to Him. His faithfulness never fails. Helen began by confronting us about why we might need to sing God's praise "within thy house" - was the church so important - were we more attached to the church than the worship? She then pointed out that we can worship in a paddock or park. These ideas were then linked to the reading from Samuel where everything was going well for David and so he decided that since he was in a position to do so, he would build a house for the Lord. But that was David's plan, not God's plan and God said "No". It must have been a bit of a shock. It would have seemed the best use David could have put his time and wealth to but the mistake he made was to forget to ask God what He wanted. Helen then told of how this story had applied to her own life and how she and Graham had planned a ministry together in the Frontier Service but how that plan had been brought to a halt which shocked them because they thought it would be a great way of serving God and His people. You guessed it! God had other ideas involving Marsden Rd. UC which didn't please Helen and Graham back then, but Helen said that looking back they can see how they were given a task where they could minister together, just not the way they expected. This was then tied in with the NT reading where the David's House reached fruition as Jesus put caring for the flock ahead of His own needs. The prayer that followed was a confession of our self- satisfied sense of entitlement, and that idea of our self-centred, self-congratulations was blown apart by the naming of God's part in our lives, reducing our amazing successes to dust. In the name of Jesus, who is God's deep yes over our lives. Anyone feeling overwhelmed by this point might be forgiven, but the Hymn 46, "Our God our help in ages past", laid out God's faithfulness to people from the beginning of time and the promise that His strength will be there for us forever. We were then given a time for meditation. What did we think about? Were we already shrinking back from the call to mimic God's generosity or were we courageously embracing His vision for us as "channels of blessing" and opening ourselves to His plans for us? Scary isn't it? Go back to the hymns. Go back to the readings. Go back to Helen's message. The prayers of the people centred on victims of violence and made a plea for support for those given the task of resolving the problems that lead to such violence. We then prayed for support for our own community, for those that needed strength and comfort, leading into The Lord's Prayer, remembering last week's message of its real depth. 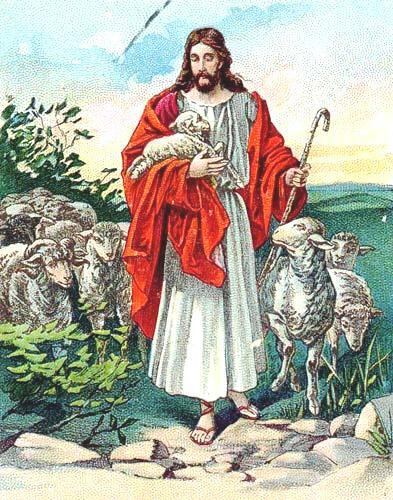 Hymn 14, "Now thank we all our God with hearts and hands and voices", we sang this to its gentle melody but took in its strong message of a God who is our strength in any endeavour, large or small, to pass on His gift, to fulfill His purpose - for thus it was, is now and shall be evermore. This morning Colin welcomed us all and especially, Rowena who was taking the service in Helen's absence, with the wish that as result of our time together, we would all have come to a closer relationship with God. Rowena then called us to worship, asking us as people of God, to attend to the more challenging aspects of discipleship, not just those that came more easily. Among other things we were alerted to be more than comforting, but to be confronting as well; to seek more than peace - to demand justice as well; to not stay silent but be a voice for God in the world and to not stop at just worshipping but follow through as a witness to what we believed. Just in case anyone present had a particularly short memory Hymn 509 followed, Stand up, Stand up for Jesus. This is not an invitation, this is a command. The hymn speaks of vanquishing foes and although it is not clear whether it is referring to foes within or without, we are promised the victor's song. At the same time a warning is given that we should not rely on ourselves but to rely on God's strength, which we can call on through prayer. Prayer, and particularly, the Lord's Prayer, was to be the focus for today, with the Lord's Prayer being set before us as the pattern to follow. Rowena pointed out that concern had been expressed that people have become too familiar with the prayer, ignoring its intent and that there was a need to discover its power. 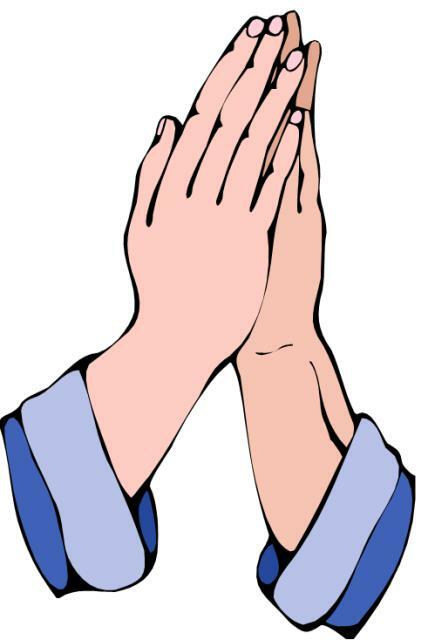 There followed a Prayer of Confession, when the congregation was guided in expressing the very common things that bother many of us - they certainly bother me - about prayer and how we fall short of what God, and believers themselves, expect of a Christian. Being confronted with our shortcomings, through the words of the prepared confession, was a wake up call to anyone listening with their heart and we responded accordingly. We asked for forgiveness for not speaking up; for being apathetic; for being more than willing to receive but much less willing to give; for falling away in our faithfulness and for our weakness in action. For any of us giving a sigh of relief that the pressure was off with the completion of the confession, the next prayer called us right back to attention. We said the Lord's Prayer with all the plural pronouns replaced by singular "my", "me" "my" and "I". That made it a bit hard to pretend the prayer was really about someone else. Praising God's name and praying that His will be done on earth isn't all that difficult unless I have to mean it, because then I can only pray for my needs, no more: I have to pray for forgiveness which can be very humbling, even more so than admitting to having sinned. ( after all, to err is human). But worse, I have to be prepared for the second part - forgiving others. Sometimes I like dwelling on how I have been wronged; forgiving means letting that go. And what about "being saved in the time of trial and being delivered from evil" maybe I was enjoying those things and to pray sincerely and earnestly to be removed from them, that is a bit more serious than I thought. Hymn 564 "Forgive us our sins as we forgive" continued the same theme and was followed by the scripture reading. Firstly Psalm 85 which echoed much of the Lord's Prayer and Luke 11: 1-13 from which the reflection was taken. Rowena began by asking us to consider the possibility of our prayers being answered by voicemail with the usual features of that with which we would all be familiar but have never got used to. The self-selection options (which never cover our need); the all operators busy answer; the "choose who you wish to speak to" thing placing responsibility for the lack of service on the caller etc., etc. The end of this allegory was for us to finish for ourselves - this doesn't happen with prayer- prayer is an instant connection to the CEO. Firstly, it was God centred and from that that centre, pointed us to our neighbour. The Lord's Prayer was then held up as a formula, sample, pattern, template. Jesus presents it as a normal part of life. We were reminded that some people see prayer as difficult; they think God is asking more of them than they can manage but it's not so. God will deal with us wherever we are in life and with however we are. We don't have to put on our best mood or our best words to approach God. He knows all that as He invites us to come close. Remember, God is there with us in our anger, our loss, in our awe, in our sadness and in our prayer. The Christian life doesn't need to be complicated. That short prayer, given to the disciples, is basic Christianity; it is the manifesto of all that Jesus is about. Rowena then quoted statistics from the medical world that show that prayer changes people-prayer works and she pointed out that prayer is being rather than doing; it's sharing with God who we are. Hymn 165 "What a friend we have in Jesus" was a confirmation of what had been said, summing up with " in His arms He'll take and shield you"; all we have to do is " Take it to the Lord in prayer". This was followed by the offering, another way of saying " Thy will be done"
Next came a time for putting the lesson to work as we offered prayers of intercession, imaginatively remembering people with all types of human problems, and returning to a responsive praying of the more conventional form of the Lord's Prayer again nailing down specific needs of each one of us. Hymn 144 gave another command, "Ye servants of God, your master Proclaim" reminding us "then let us adore Him and give Him His right" acknowledging that our lives should be lived to God's glory. And may the Holy Spirit pour out heaven's riches upon you. 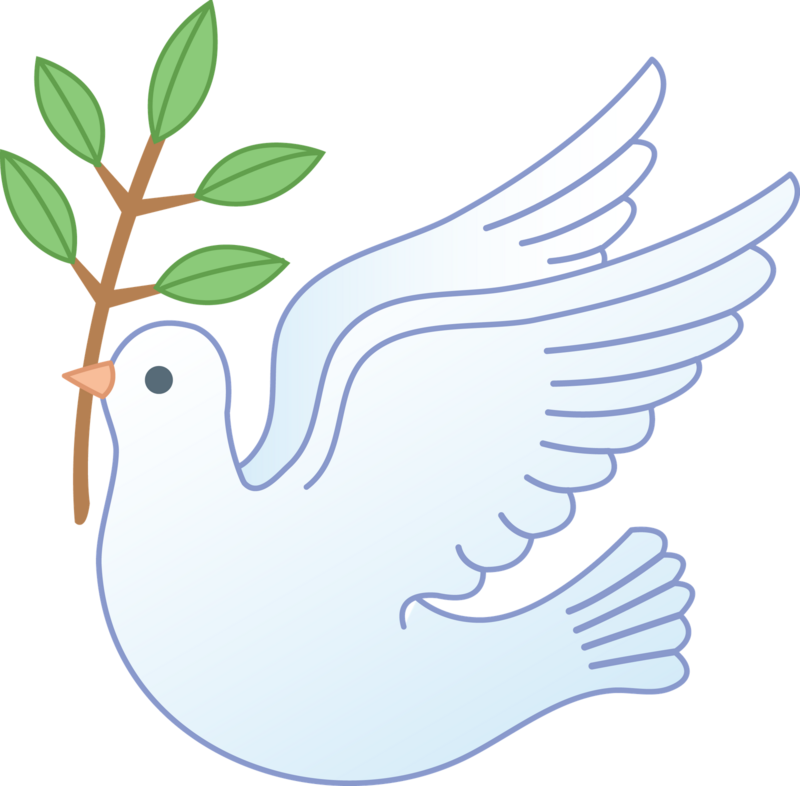 We go now in peace and love and serve the world. 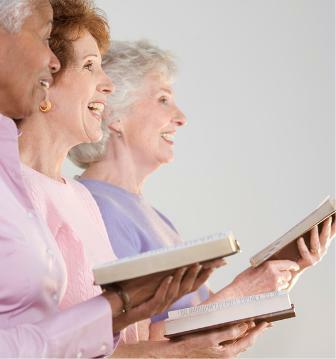 We began the service sharing our life's experiences in song as we chose and sang those hymns dear to our hearts because of their significance at some time in the past, if only because of the joy the music gave us and because that joy has stayed with us. We were then called to worship with a reminder that God is the God of all ages of history and all stages of our lives and we responded. I rose went forth and followed thee. For myself and I would think for many present, the memory returned of the day we walked out of our cage into Freedom and Life. The prayer Midwife Of Our Lives followed with God portrayed as a midwife bringing us into life, this time, everlasting life. All those attributes of a baby coming into life and being encouraged , exhorted and calmed were applied to our spiritual birth, with God breathing spirit into us, and continuing to care for us so that we can rest in Him. Helen then introduced the idea of heroes: those who inspire us, and asked us to think about our dreams and visions. Had we fulfilled them? In my case - partially. For some I would think, almost fully: and others, not at all. We were then encouraged to think about our present dreams. Are we reaching our goal? What is stopping us from fulfilling those dreams? Will we have to modify them because of age-or a myriad of other reasons? Or as in my own case, for whatever is easiest. It is sometimes very hard to act on a possibility if it looks like complicating your life. A confession followed and perhaps the silent ones had the deepest impact as we sang together: O Lord hear our prayer. 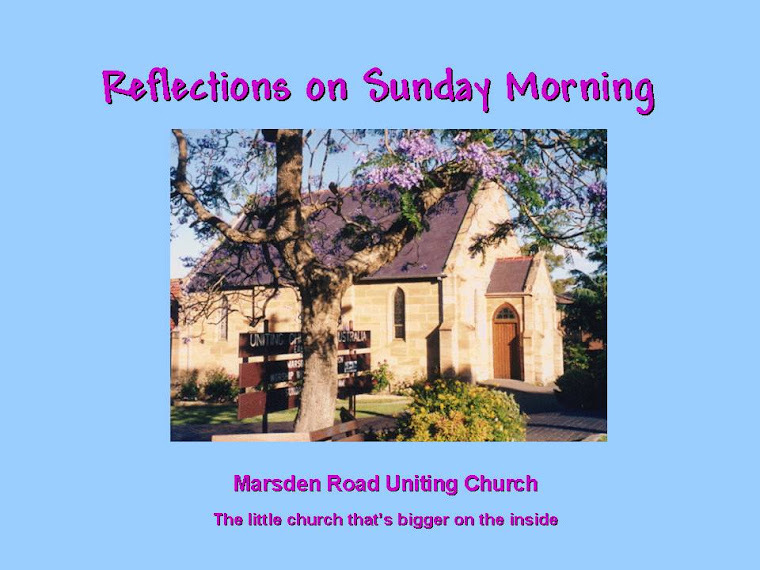 The hymn 56 Amazing Grace with the lines 'I was lost, but now am found' and 'grace my fears relieved' laid before us the solution to any obstacles lying between us and our fulfilling of any vision, large or small. As did the scripture reading 2 Corinthians 12: 2 - 10 which related the account of Paul's 'thorn in the flesh' which he asked God to remove. But instead God told him "My grace is sufficient for you, for power is made perfect in weakness". No "buts". It is very easy, especially for people with genuine afflictions, to opt out of a plan or look for an easier way to journey but it is very hard to argue that God's grace is not enough. Helen followed the story of this reading with real life accounts of two people finding a way through when they felt most vulnerable, most ill-equipped. In both cases God's grace was sufficient. The prayer that followed asked for strength in our weakness to enable us to follow God's call and to show us how to take the next step forward. After the freewill offering that symbolised our partnership with the creator enabler, we took part in a time of quiet meditation. No doubt many were looking afresh at their visions, their dreams. The prayer that followed called for God's help for those who do not recognize their potential; those with self-doubt; those that reject or resist; those who diminish themselves to embrace God's call. Prayers for the community called for the relief from suffering, support for the environment, release from oppression and violence and support for those close to us in their particular need again trusting in God to meet us in our weakness. This was followed by the hymn 531, which with the hymn 537 sung before the offering, gave reassurance for all of life, but, we must Trust and Obey - equally, I would think. Praise Him above Ye heavenly host. Praise Father, Son and Holy Ghost. Our Sunday service followed a now familiar beginning. After the welcome and call to worship we were invited to thank God for our many blessings and the people were given the opportunity to name those things they were thankful for. These were many and varied, covering the issues that are familiar to humans everywhere but it was good to be given the time and opportunity to think about them, whether we spoke aloud or just said a Thank You in our hearts. Sometimes in the rush of the day and week, we forget to put aside time to dwell on the riches we are given. Then there was the call for the Lord of Life to show us the way through the trials and tribulations that come upon us: another reminder to keep looking to the source of all wisdom. I found this a lesson in itself as my inclination, in times of trouble, is to curl up in a defensive ball. The hymn" All people that on earth do dwell" followed, reassurance that our faith in God is well founded and that while the Almighty is to be shown due respect, we can approach Him in a joyful way. A little ball of Christian theology neat wound up in a song. The Bible reading Mark 5:25-34 was then delivered, followed by Helen's dramatic presentation of the event. It's interesting that the story came so alive when the woman in the reading was given human form and the story acted out in a way that where the woman had been unable to find help for her ailment, many present would have had similar experiences. What do I remember of that little play? The woman was no wimp. She had been able to make her own way but even so, she wasn't immune from problems. Then there was the hint that maybe people saw the fault being with her. How many times are we quizzed on diet, exercise, attitude etc, etc, as though every ailment came down to lifestyle. But she had complete faith. She knew. And it wasnt easy; there were obstacles, not the least being the crowd but she kept focus on what needed to be done, and who who could do it for her. And Jesus said to her "Go in peace". We were then reminded, as we approached the table that Jesus was the host at this table to others in the congregation with whom we might disagree; host at this table in other churches; in different parts of the world and in Heaven with those who have gone before- this was a holy moment but I had a very ordinary thought, " This is a crowded table, tuck your elbows in." The hymn "all the hungry, all the thirsty" also with it's inclusive theme, raised hope for the church we might be and emphasized the need for each of us to move over a little to make space for others at the table of God's family. There followed the communion with our focus on what we were there for and the gift we were receiving. On that day for me: food for new life. We greeted each other with peace and the enthusiasm to do so, spoke of lives that had soaked up all that had preceded. As did the prayers that followed with messages of support going out to those around us, locally and globally, followed by the Lord's Prayer- assurance of our daily needs being looked after. The logical conclusion to this is the freedom given to us, more than fully expressed in the words of the last hymn - Oh for a thousand tongues to sing. There wasn't a thousand of us but heartfelt enthusiasm made up for that, all drawn together at the end by the blessing and the three-fold Amen. Sealing a something of great honesty and truth. I think more than one person present felt as though they might have touched the hem of Jesus garment. The delighted smiles seemed to day so.